Nearly every week, a new device gets added to Google’s list of devices that support ARCore. ARCore is Google’s platform for augmented reality apps, making it possible to measure the size of objects using your camera or add interactive stickers to your selfies. AR shopping is another popular use case of augmented reality because it allows you to see what the item you’re about to buy will look like in your home. Amazon launched AR View to preview products from its online service, and now it seems that Google is preparing to launch a competing AR shopping service of its own. 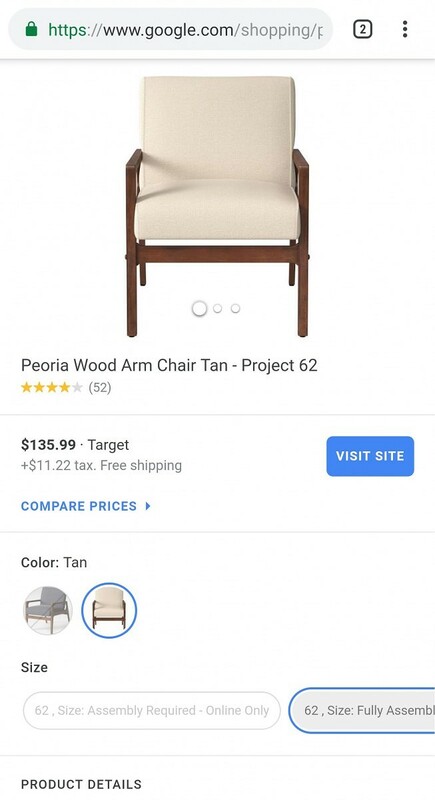 This new service is part of the Playground app for the Google Pixel smartphones, and it uses ARCore to help you visualize furniture from Google Shopping. In the latest version of the Playground app for the Google Pixel, we accessed the new AR Shopping mode. This AR Shopping mode will be accessible on any Pixel smartphone with Playground installed, which includes the Pixel, Pixel XL, Pixel 2, Pixel 2 XL, Pixel 3, and Pixel 3 XL. Since we didn’t access the new mode directly from the Playground mode in the Google Camera app, we can’t use one of its best features: the ability to take a picture of an AR object in your home. Fortunately, everything else worked for us, so we can show you what the AR shopping experience will be like once a future update to the Playground app rolls out for the Pixel devices. The top half of the screen will be the camera viewfinder, which you’ll use to see where you’re placing the furniture. The bottom half has a horizontally scrolling list of furniture items that you can tap to place in your room. Each item has a picture, price, and which vendor it’s pulled from. There are many different furniture items under multiple categories to choose from, but once the service goes live, additional categories and items may be added. Some of the possible furniture items from Google Shopping you can preview. Tapping on the “details” button of any item you select brings you to its product page on Google Shopping. As for actually placing a piece of furniture in your room, it works about as well as you would expect. You can tap and drag to move the item or pinch with two fingers and drag to rotate it, but you can’t resize any of the items because they’re “true-to-life.” Lastly, if you exit the mode and return to it, Playground offers to restore the position of the item in the room. This video was recorded on a Google Pixel 3 XL running the latest Android 9 Pie release. The feature isn’t accessible yet through normal means, but you’ll be able to access it from the Playground mode in the Google Camera app once Google rolls out an update. Once AR Shopping becomes widely available, we’ll let you all know.